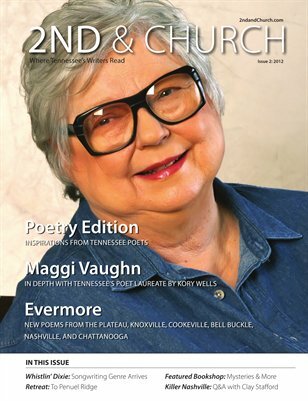 Ink has hit paper for our first-ever poetry issue, featuring Tennessee Poet Laureate Margaret (Maggi) Britton Vaughn. Poet Kory Wells sat down with Maggi in the Bell Buckle Café to talk poetry, prose, and anything else that they wanted! Poet Kate Buckley took a trip to Bell Buckle to poke around Maggi’s printing operation, the Bell Buckle Press. 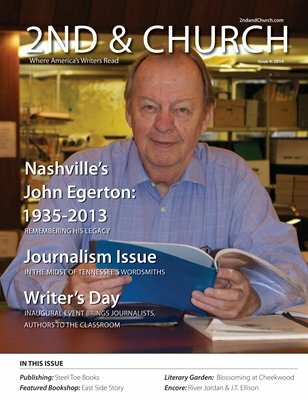 And Poet Matt Urmy shares his review of Kory’s and Maggi’s latest literary endeavor, Don’t Forget This Song: Celebrating the Carter Family and Other Roots Musicians. Together with Kelsey Wells and Carole Brown Knuth, these four writers and poets “celebrate the past and present of roots music in styles and for reasons as diverse as the music itself.” And Maggi's editor of nearly two decades (Carole Brown Knuth) share san original piece on this Tennessee poet, entitled "Comas, Commas, and Creativity: An Editor’s Notes on Maggi Vaughn." 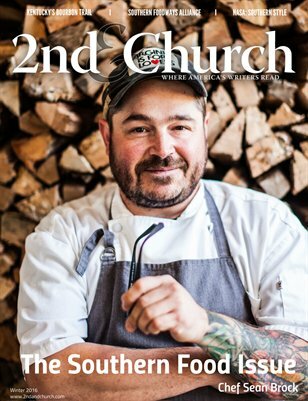 Our second issue is now ready for downloading and ordering! Simply click on its cover to the left of this screen. 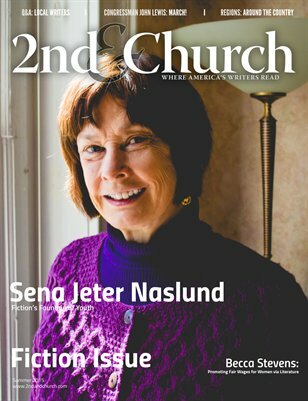 2nd & Church is happy to bring you a sneak peek of our interview with Maggi, in which she talks about the afternoon she spent with PBS's Bill Moyers, reading to him from her poetry collection, The Other Sun of God. Kory Wells: You also had a nationally-known visitor in Bell Buckle recently. Maggi: Yes, Bill Moyers from PBS came through Bell Buckle and looked me up. He said he’d heard of me and I said, “Oh, good grief, you have not.” He said, “I have, Maggi.” I sat on a bench in front of the old stores of Bell Buckle and started reading him poetry. A crowd gathered. Not for me, but because they recognized him. He loved it. He said, “You know Maggi, I went home years ago to Stamps, Arkansas, and did a documentary on Maya.” I flipped over some pages and read him “Going Home with Maya,” that I wrote the night I saw that program, I was so inspired. He kept saying “I can’t believe it!” They told me he got on the airplane with a bunch of my books under his arm. So it’s been a good year for me. Two new poems by Maggi, entitled “The Computer Triangle” and "Constipated Minds." Poetry Editor Alvin Knox review of Southern Light: Twelve Contemporary Southern Poets, edited by Ray Zimmerman, Bruce Majors, and Ed Lindberg. Southern Light is a diverse collection authored by a dozen Southern poets. Charlotte Rains Dixon reviews Hollywood’s latest take on Edgar Allan Poe, The Raven. 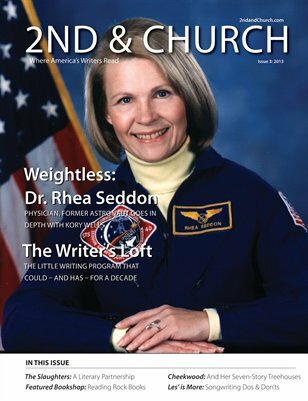 Gayle Edlin continues her adventures in the land of technical writing, sharing with her readers her take on the creative writer's workspace. Renaud Rousselot de Saint Ceran once more translates for us his misadventures in Middle Tennessee, this time taking on French poetry. 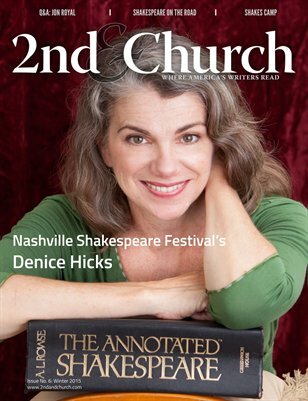 We are excited to offer a feature story on area writer Terry Price and one of his latest literary projects, Magic Time – a WriterSpace Retreat, held at the Penuel Ridge Retreat Center, in Ashland City, Tennessee. Starting with the Q3 issue, we will be adding the songwriting genre to our lineup, and in our second issue, we are intoducing our songwriting columnist, Les Kerr, via a Q&A session. Writer Suzanne Craig Robertson drops in on Middle Tennessee bookshop Mysteries & More and shares with us a thousand words on her experiences. 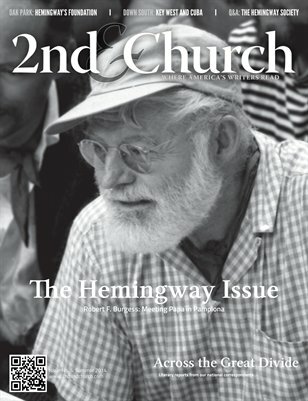 Cookeville Poet Wayne Hogan offers us a new poem, entitled “Writing As No More Than Two Kinds Of Dance." Poet Bill Brown offers a new poem, entitled “Simple Things.” Bill isTennessee Writers Alliance's 2011 Writer of the Year! 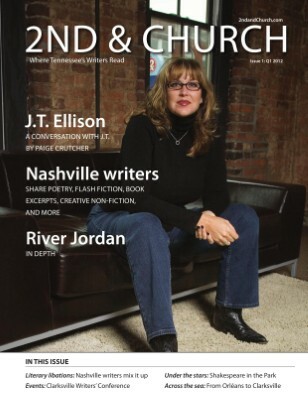 And just before Killer Nashville's 2012 event (August 24-26), founder Clay Stafford sits down to talk to us about this year's event, as well as his other literary projects.